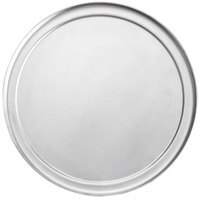 Serve up your delicious signature pizza on this 11" aluminum pizza tray with rim! 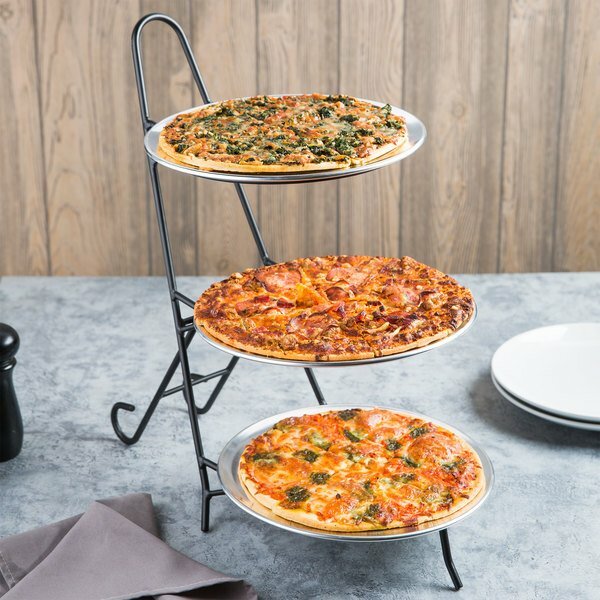 This easy-to-carry pizza tray is ideal for pizza parlors, restaurants and buffets. 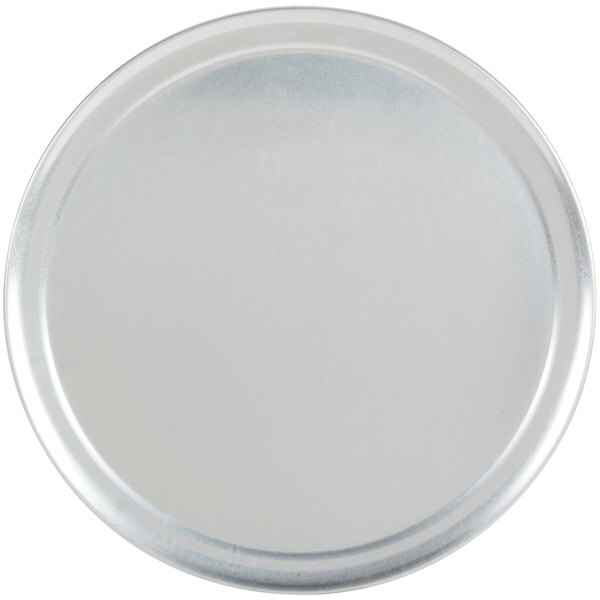 Featuring superior durability, this tray is made to last in a busy kitchen. 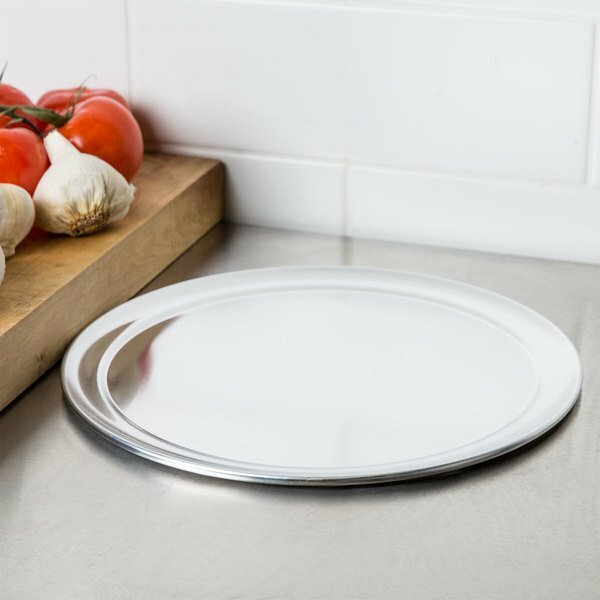 Whether it's baking or reheating your signature pie, use this tray for all of your pizza needs! "We own many sizes of pizza trays. If you are starting a pizza parlor or you already own a pizza type company you should have multiple sizes of pizza trays in your inventory. 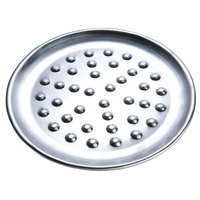 These trays are made of 18 gauge aluminum and are very easy to clean. They have a rim around the edge which…"
Transporting, slicing, and serving your pizza is made easier thanks to the wide rim feature. 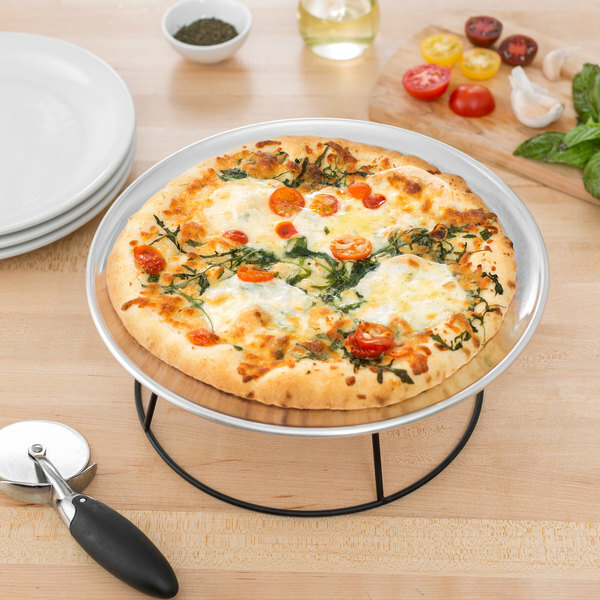 It holds the pizza in place, making it perfect for fast-paced dining environments. 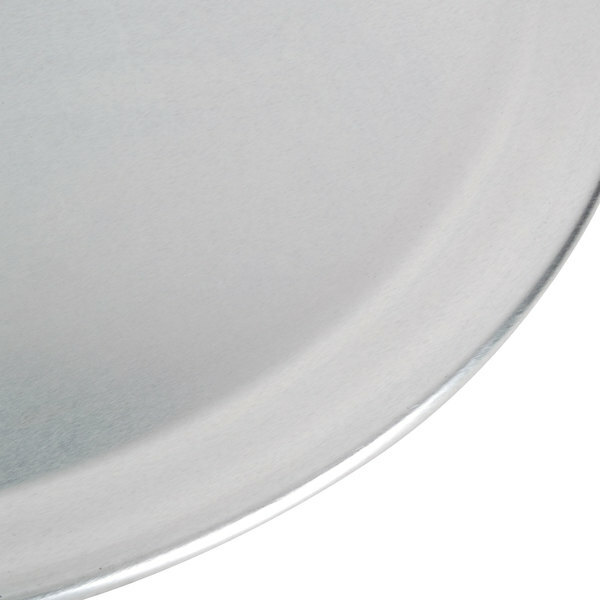 This tray's rolled edges also eliminates any hard-to-clean openings, cutting down your cleanup time and optimizing the overall sanitation of your venue's servingware. 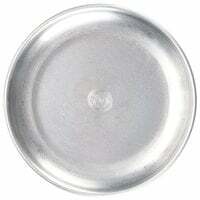 Made of sturdy 18 gauge aluminum, this durable pizza pan will last you through numerous servings. You won't have to worry about replacing this tray several times! We use these as plates and have no issues so far. They clean up very well! They look the same as they did when we bought them 8 months ago! 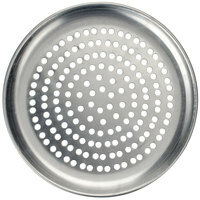 Perfect pizza pan, sturdy, cleans easy and stacks well. Have used daily to serve pizza and have held up extremely well. We do not slice on them so I can not comment on how it holds up when sliced on. 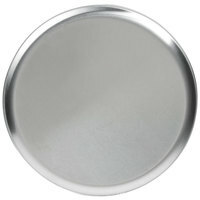 I was very impressed with this eleven inch aluminum pizza tray with rim and I am happy I did. 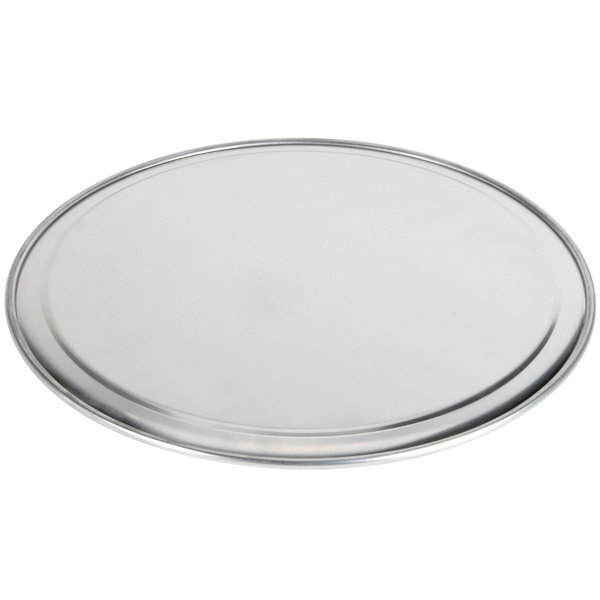 This tray is perfect for individual pizzas but also to highlight or showcase out cuts of meat for the dinner service. I will order additional sizes soon and do recommend for any kitchen. I would recommend. We own many sizes of pizza trays. If you are starting a pizza parlor or you already own a pizza type company you should have multiple sizes of pizza trays in your inventory. 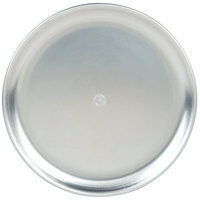 These trays are made of 18 gauge aluminum and are very easy to clean. They have a rim around the edge which make them easy to hold and transport. 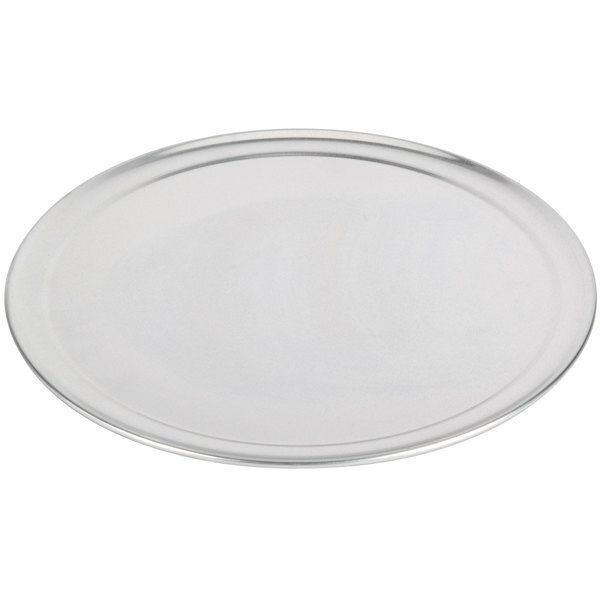 These aluminum pizza trays are great. They're a good value, and feel a little stronger than most economy trays. I've been using them for months now, and they have held up very well. 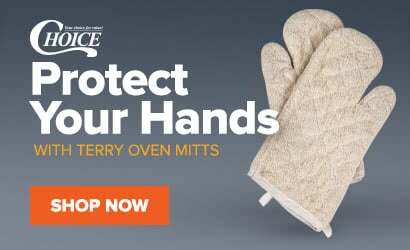 It's very durable, yet lightweight since it's aluminum. Easy to clean. Good for mini pizzas, but I like to use it for toasting pita bread in my oven. Our ten inch pizzas are perfect for these trays. Just enough room for the pizza and a little room for handling. Really cheap but well made. 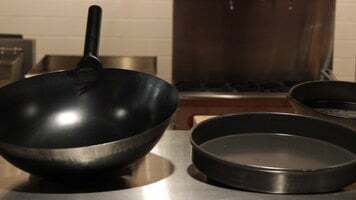 Sturdy, durable, warp-free mighty little pan! Rim is rolled and pizza does not slide off during transport. Rolled curves make it easy to clean. Great value! 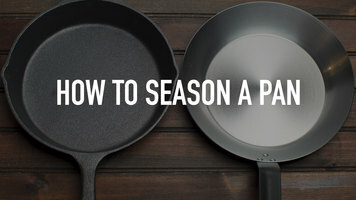 We use these pans for a number of things, but all of our entrees go on them. Easy to clean and can be used for anything. This pizza tray is oven safe and makes a very good pizza. I love the fact that it colors well even without perforations. 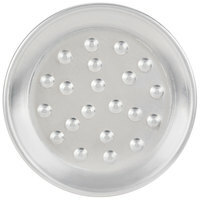 I love this product and would highly recommend it.